What are some Misconceptions about Special Education? 1. Public Schools may choose not to provide education for some students with disabilities. Due to legislation and Litigation and the large role they play to support students with disabilities there are now laws in place and guidelines that all students are provided with equal opportunity to education. No student can be denied public education anymore. "Federal legislation specifies that to receive federal funds, every school system must provide a free appropriate public education (FAPE) for every student, regardless of any disabling condition" (Hallahan, Kauffman, and Pullen, 2015). Laws were pass that require states to include students with special needs in public education , some of these laws include Education for All Handicapped Children Act, Individuals with Disabilities Education Act, and more. All students with disabilities within the a school district are entitled to a free appropriate public education. "The ED Section 504 regulation defines a person with a disability as “any person who: (i) has a physical or mental impairment which substantially limits one or more major life activities, (ii) has a record of such an impairment, or (iii) is regarded as having such an impairment.”" (Duncan and Russlynn, 2010). 2. Implementing multiculturalism education is a relatively simple matter of including information about all cultures in the curriculum and teaching respect for them. 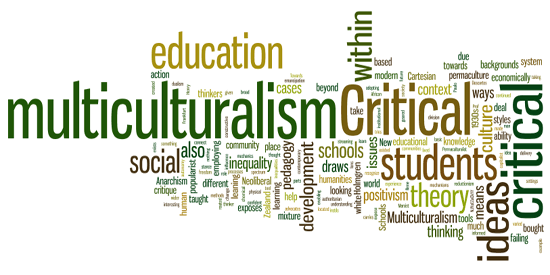 Multicultural education refers to education that incorporates histories text values beliefs and perspectives of people from different cultural backgrounds. However it is not as simple as putting a poster on the wall of another culture or sharing stories about the cultures in which your students are apart of. "Educators and others are struggling with how to construct satisfactory multicultural curriculum and multicultural instruction methods. Nearly every aspect of the task is controversy: which cultures to include, how much attention to give to each, and what and how to teach about them" (Hallahan, Kauffman, and Pullen, 2015). Multicultural education takes time in learning about other cultures and how to implement those into our standards, assessments, and instruction. The hope of multicultural education is to increase student understanding and feelings towards another culture and to overall make a sense of belong to others. Multicultural education now has researchers determining the best techniques and strategies to use in the classroom, however it will take time in perfecting (Hallahan, Kauffman, and Pullen, 2015). 3. 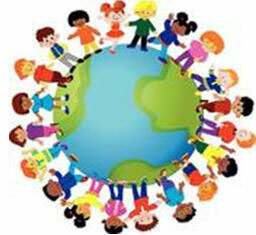 Children with language disorders always have speech difficulties as well. Yes, most students with language disorders have speech difficulty as well, however not always. It is possible for a child to have fluency or very good speech yet not make sense of when he/she is talking. A speech disorder is an impairment in the construction and use of oral language. "They include disabilities in making speech sounds, producing speech with a normal flow, and producing voice"(Hallahan, Kauffman, and Pullen, 2015). A language disorder is directly related to problems in comprehension and expression. This includes phonology, Morphology, syntax, semantics, and pragmatics. "Language disorders may involve one or a combination of these five subsystems of language"(Hallahan, Kauffman, and Pullen, 2015). It would make sense if a student can not produce speech "normally" that he or she would have difficulty in comprehending what they are reading. "Speech-language deficits are the most common of childhood disabilities and affect about 1 in 12 children" (Prelock, Hutchins, and Glascoe, 2008). However, this does not mean that every child with a speech problem has a language disorder and vise-versa. There are many different types of communication disorders and it is not always the case that a children with a language disorder also has speech difficulties. 4. People with special intellectual girts are physically weak, socially inept, narrow in interests, and prone to emotional instability and early decline. ​No two children are alike, which means not two children strengths and weakness are either. Some students who are gifted with special intelligence can be physically weak, socially inept, have few interest, and emotional concerns. However this is typically not the case. "There are wide individual variations, and most gifted individuals are healthy, well adjusted socially attractive, and morally responsible" (Hallahan, Kauffman, and Pullen, 2015). Students who are gifted have needs, but since it is not a disability these students do not receive any special educational services under the Individuals with Disabilities Education Act. This is why the Federal Legislation encourages schools to develop programs for gifted students. Gifted and talented students usually have these characteristics; "general intellectual ability, specific academic ability, creative thinking ability, advances ability in the fine arts and performing arts, and leadership ability" (Hallahan, Kauffman, and Pullen, 2015). There are only about 3 to 5 percent of students in the U.S. school population considered gifted or talented, but as the text stated these students are not this stereotype of physically weak, socially inept, narrow in interests, and prone to emotional instability and early decline. 6. Parents are to blame for many of the problems of their children with disabilities. There is an important difference between disability and handicap. A disability is an inability to do something. The person can not perform in a specific way or do something with full capacity. A handicap "is a disadvantage that is imposed on an individual" (Hallahan, Kauffman, and Pullen, 2015). A disability can be a handicap depending on the situation and circumstances, therefore a handicap might have been caused by a disability. But they are not the same. "For example, blindness is a disability that can be anything but a handicap in the dark" (Hallahan, Kauffman, and Pullen, 2015). Another example is a student in a wheel chair(with no intellectual disability) has a handicap in getting up the stairs, but he/she does not have a handicap in learning to read. It is important that educators, students, and everyone understand the difference between a disability and a handicap, because many students are able to complete things on their own even with one or the other. " When working and living with exceptional individuals who have a disability, we must constantly strive to separate their disability from from the handicaps"(Hallahan, Kauffman, and Pullen, 2015). 7. ADHD is a fad, a trendy diagnosis of recent times in the United States with little research to support the existence. First off all, "literature indicates that physicians recognized the existance of attention problems and hyperactivity in the 18th, 19th, and 20th centuries. A firmly established research base now supports it's existence" (Hallahan, Kauffman, and Pullen, 2015). Some children with ADHD have underlying emotional dysregulation problems which lead them to act out in impulsive and dramatic ways. Others meet the criteria due to instrumental aggressivity which is rebellious, unreliable, and oppositional. Some are socially withdrawn and may be dealing with other problems affecting attention and concentration such as depression or anxiety (DeFife, 2010). There is a subset of children with the ADHD diagnosis who are highly adaptive. They tend to be sociable, well-liked, articulate, and achievement oriented. Unfortunately, they struggle in significant ways with maintaining attention, restlessness, and impulsivity. Doesn't everyone deserve a chance to proper guidance and support? How is ADHD any different that our other forms of disabilities? "Is ADHD over-diagnosed? Almost certainly. Are physicians too often, too quick to medicate children with stimulants when they could be helped otherwise? You bet" (DeFife, 2010). There is tons of research out there so it is important to check it out before just assuming. 8. Using psychostimulants, such as Ritalin, can easily turn children into abusers of other substances, such as cocaine and marijuana. "No evidence shows that using psychostimulants for ADHD leads directly to drug abuse. In fact, evidence shows those who are subsribed Ritalin as children are less likely to turn to illicit drugs as teenagers." (Hallahan, Kauffman, and Pullen, 2015). "Is ADHD over-diagnosed? Almost certainly. Are physicians too often, too quick to medicate children with stimulants when they could be helped otherwise? You bet" (DeFife, 2010). The important part of children being prescribed medication is making sure that parents do research and talk to doctors about why they believe Ritalin or any other drug is the right one for their child. Also the point of misuse should be taken into consideration when being prescribed. Making sure that the dosage is the right amount for the particular child and that they aren't taking too many pills in a day and abusing what is being given to them. 9. People with disabilities are just like everyone else. No two people are exactly the same. With this said people with disabilities are unique just like everyone else (Hallahan, Kauffman, and Pullen, 2015). It is not fair to group all students with disabilities in the same category which we don't because again no two people are the same. A disability is a characteristic that is not shared by most people. For example, if a student has ADHD there can be all different forms of it and each student with it can go through different struggles. "Some children with ADHD have underlying emotional dysregulation problems which lead them to act out in impulsive and dramatic ways. Others meet the criteria due to instrumental aggressivity which is rebellious, unreliable, and oppositional. Some are socially withdrawn and may be dealing with other problems affecting attention and concentration such as depression or anxiety" (DeFife, 2010). These are great examples of the many differences just one category of a disability can have. Again, no two people are the same so just as students can struggle to tie their shoe or to use the toilet instead of pull-ups, students can have disabilities that differ from others with the same risibility. 10. All people with autism spectrum disorders are intellectually disabled and can't be involved in higher education or professions. Autism spectrum disorders include all different ranges of intellectual capacity. A high percent do have intellectual disabilities but many in milder forms such as Aspergers and are highly intelligent (Hallahan, Kauffman, and Pullen, 2015). Just as any learner, children with autism all learn in their own way. If a child with autism works better in a 1:1 setting then this can be made possible in a higher educational setting. Most schools offer services for students with disabilities and autism isn't any different and shouldn't be left out. Consistency is another trait that is common among those with autism so when moving into higher education things such as this need to be considered. By talking with a counselor or someone in the disabilities office certain services or modifications can be made to make the experience easier and not such a large change which is not easy for anyone. Prelock, P. A., Hutchins, T., & Glascoe, F. P. (2008). Speech-Language Impairment: How to Identify the Most Common and Least Diagnosed Disability of Childhood. The Medscape Journal of Medicine, 10(6), 136.